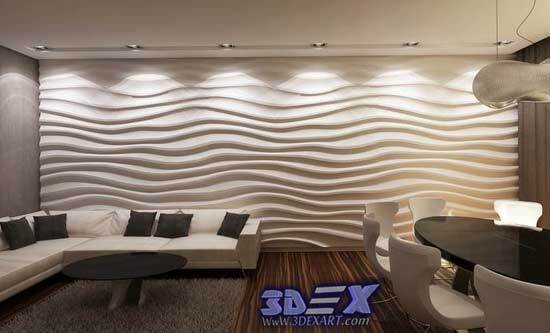 3D Gypsum wall panels - this is one of the latest developments in the decoration of the interior. 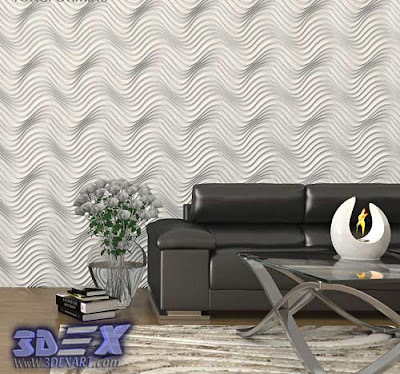 The drawings on the surface of the 3d gypsum wall panel will create a sense of harmony and order in the interior of your house. 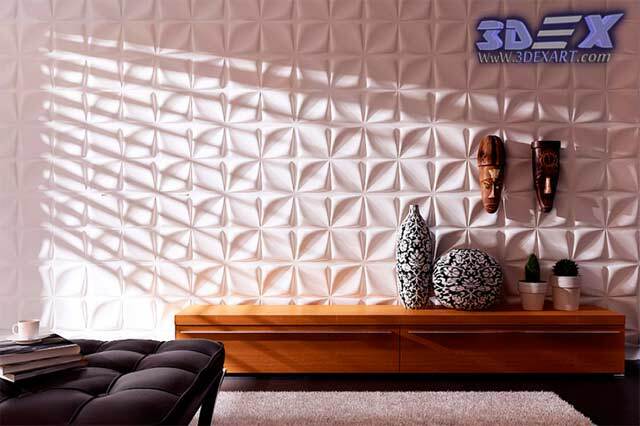 We show you one of the newest solutions for interior decoration - decorative 3D gypsum panels for wall decoration. This method is a new dimension in the direction of interior design, which benefits from its characteristics of cold and flat decoration materials. A variety of 3d wall textures and the possibility of using different coatings and paints will help you apply environmentally friendly 3D gypsum panels to realize any design tasks and your creative ideas in the transformation of any interior. Each finishing material must have qualitative characteristics otherwise you should not spend money on it. 3d gypsum and 3d plaster panels appeared on the market of building materials for a long time already and have already taken their top place. 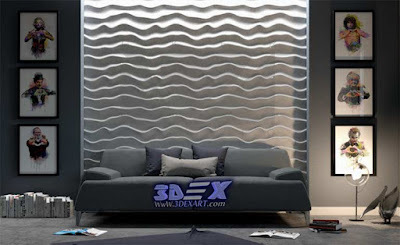 Such 3d wall panels help create every interior originality and coziness. But the most common 3D panels at the moment are gypsum, and that's why you need to know what characteristics they should match. The most important parameter is the ecological compatibility of gypsum panels since it does not release toxins and harmful substances. Also, such 3d plaster panels have a long service life due to the fact that it can be updated, repainted and restored without harm to the drawing. 3D Gypsum panels are famous for the fact that they produce the most voluminous figure due to good elasticity. 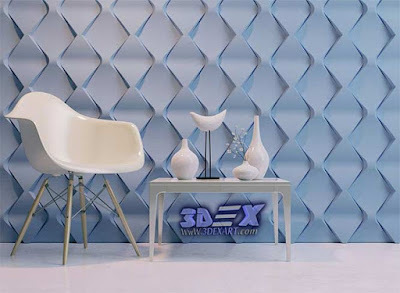 One of the latest developments in the decor of the interior decorative 3D panels of gypsum for wall decoration and 3D partitions, which are currently one of the most original, fashionable and aesthetic ways of decorating wall planes. This is the third dimension in the field of interior design, which replaced the banal flat surfaces. Among the materials for interior finishing, gypsum panels and plaster panels for walls are becoming increasingly popular. These three-dimensional elements with a textured front surface allow quickly and effectively to transform the inexpressive space, make it memorable and highly decorative. Decorative 3d gypsum wall panels are not only beautiful but also durable and safe for health. Using 3d gypsum panels, you create a panel-unified surface without visible seams, which gives the room unique decorative qualities, unique style, and also allows you to visually change the configuration and size of the space. This decor is harmoniously combined with other options for decorating the room: decorative plaster, painting (any paints and enamels) and even wallpaper. 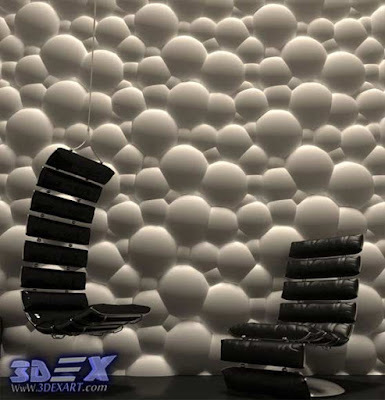 3D gypsum panels for walls are perfect for a design of rooms for different purposes: bedrooms, living rooms, halls, offices, public and commercial areas: offices, reception rooms, studios, beauty salons, restaurants, showrooms, shopping and exhibition halls, banks, museums. 3D gypsum panels for wall allow realizing exclusive interior solutions with the help of three-dimensional gypsum panels of author's design. This is an excellent option for decorating walls, interior partitions, ceiling. Using such solutions will make the design voluminous and unusual, go beyond the standard flat surfaces. The decorative material has a low weight and is the embodiment of modern technologies for interior decoration. The production is based on European developments, the use of sophisticated equipment and special technologies. 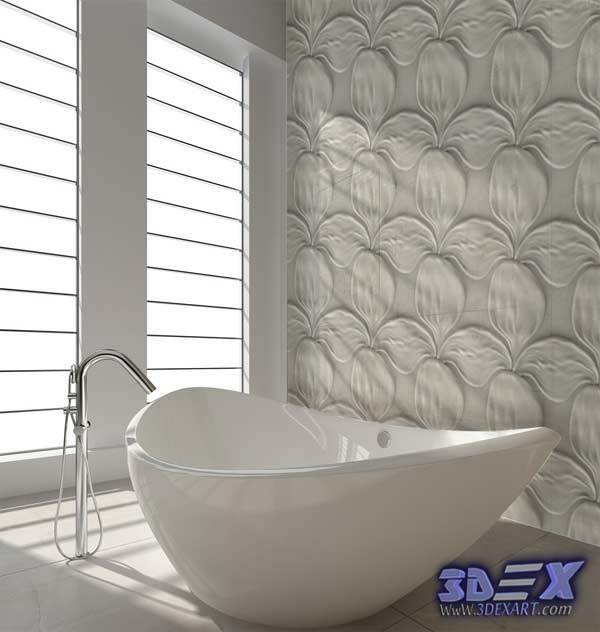 This allows you to obtain three-dimensional texture wall panels with the effect of the porcelain surface. 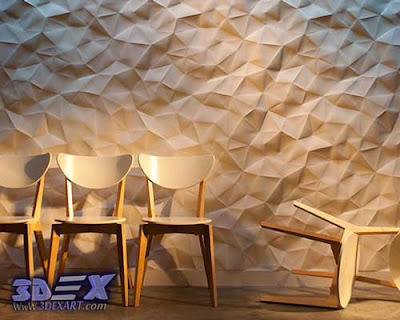 Gypsum 3D wall panels allow to provide a unique and simultaneously comfortable interior, create an interesting decor, changing the order of the panels. A variety of shapes and colors. A wide choice of variants of execution of such design wall surfaces allows decorating an interior in any style - from classical baroque to eclectic and high-tech. And an infinite variety of color solutions will allow you to turn your living space into a personal source of pleasant emotions. Ease of installation. 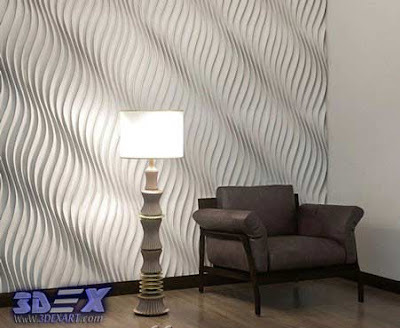 Choosing embossed 3D panels for wall decoration, you can quickly and easily upgrade your interior. Individual models do not even require preliminary preparatory work. The choice of a wide range of models allows you to exclude the costs of finishing. It is installed according to the instructions, both suture and seamless, preserving the integrity and allowing to create monolithic compositions. The combination of other elements of decor. 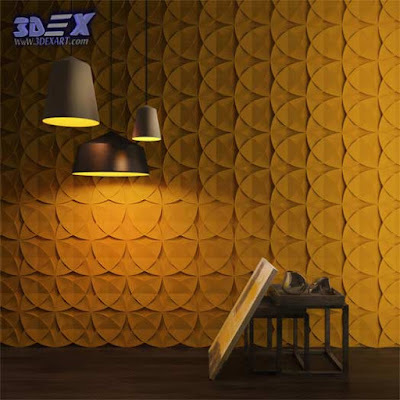 3D Gypsum wall panels can be used as an independent decorative panel, or in combination with traditional materials for decoration. 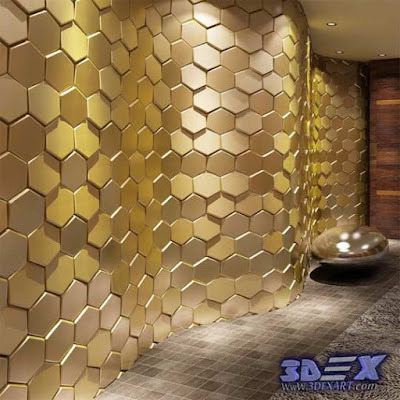 To create 3D gypsum panel effects, It can be combined with the final wall coverings, imitating the skin, metal, stone, wood and other relief surfaces. Also for the creation of exclusive design solutions, various lighting options are used. For the uniqueness, absolute incombustibility, ecological compatibility and unlimited decorative possibilities, designers appreciate gypsum facing panels. Due to the plasticity, the possibility of additional adjustment "in-place", 3D plaster panels patterns can be folded into a continuous web on the wall without visually determined joints. The degree of "convexity" of gypsum panels is practically unlimited. To emphasize the expressiveness of the decor, the play of the chiaroscuros is often used with spectacular lighting. Three-dimensional walls from gypsum and plaster - one of the most fashionable today in the design of the interior. 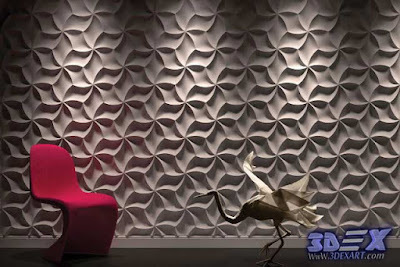 The 3D gypsum panels 3D decoration is capable of changing the space, giving the interior refinement and modernity. 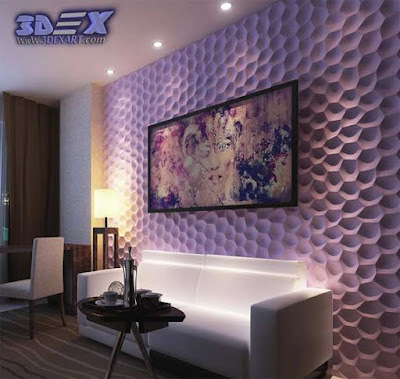 3D Gypsum wall panels - development for people who love change for the better and keep pace with the times! backgrounds for water compositions, winter gardens. 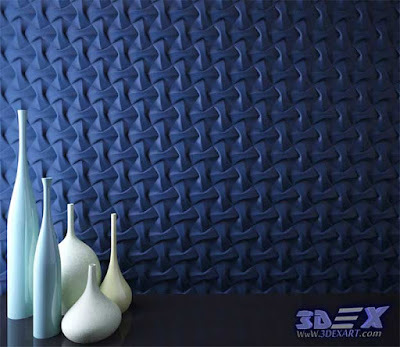 3D Gypsum wall panels - this is a unique case for decoration material when the scope of application is not limited. The material is easy to install and does not require preliminary surface preparation, allowing you to quickly transform the interior. We are used to the fact that the walls and ceiling are flat surfaces. Using volumetric wall panels 3D breaks habitual stereotypes and gives a completely different perception of space. Using 3D gypsum panels, you can effectively zonate space, emphasize the beauty of columns, niches, and other protruding wall elements. Often, gypsum wall panels are used to decorate the head of the bed, apron kitchen or part of the wall (behind the TV, fireplace, aquarium, other interior items that require an additional bright accent). 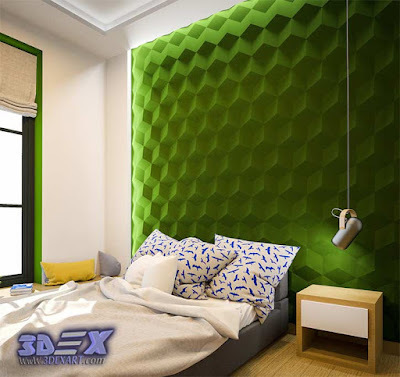 It is negligent to choose a suitable pattern, the placement of 3D panels is not worth it. It is able both to emphasize the general concept of the interior and to enter into an obvious dissonance with the surrounding situation. Carefully selected 3d textured panels, shape, coloring of the drawing should fully correspond to the chosen style, support the general idea. In addition to the decorative task, often facing materials perform other functions: visually expand the room, raise low ceilings, break the geometry of the space, giving the interior greater expressiveness and exclusivity. Beat either geometric patterns from simple figures (rhombuses, circles, triangles) or complex repetitive patterns (wavy, jagged, natural imitations), in no way mixing. The composition should be folded either from the same shape, the size of the panels or according to the principle of repeating mosaic. If the selected pattern is cyclic, then it should look orderly, complete on the selected space, without leaving a feeling of incompleteness, some kind of an understatement. The same applies to mosaic compositions in which each 3D plasterboard is part of the overall picture. 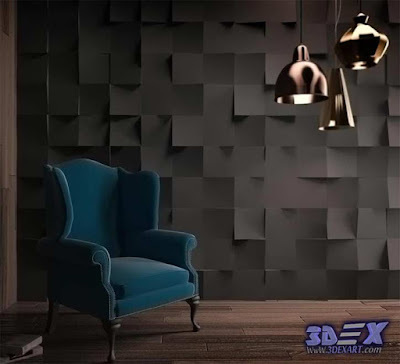 To lining 3D gypsum panels was brighter, interesting, it is appropriate to use additional lighting in the form of ceiling, wall and even floor lamps. The original decor becomes the very highlight, giving individual and unique features, a touch of sophistication and charm to the chosen style of the interior. 3D Gypsum panels for the wall are not exacting in care, it is easily restored, refreshed with the help of additional coloring. In order that it does not absorb excess moisture from the environment, it is subjected to additional impregnations. 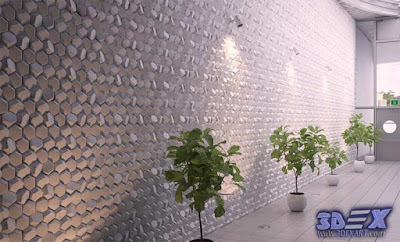 So 3D gypsum panels can be used to decorate walls in saunas or bathrooms. Separately it is worth noting the amazing soundproofing properties of gypsum. Knowingly it is traditionally used for decoration of walls, ceilings in theaters and concert halls. A lot of companies offer the manufacture of 3D plasterboard custom-made panels, with an exclusive pattern matching the chosen style of the interior. 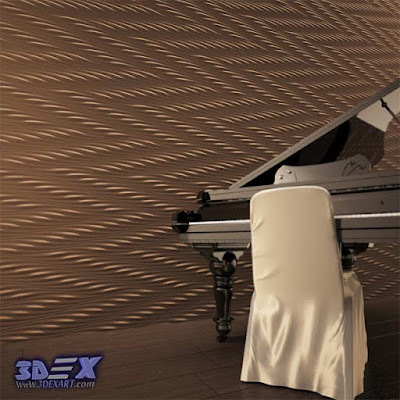 Have you purchased 3D decorative panels or are you just going to do it? 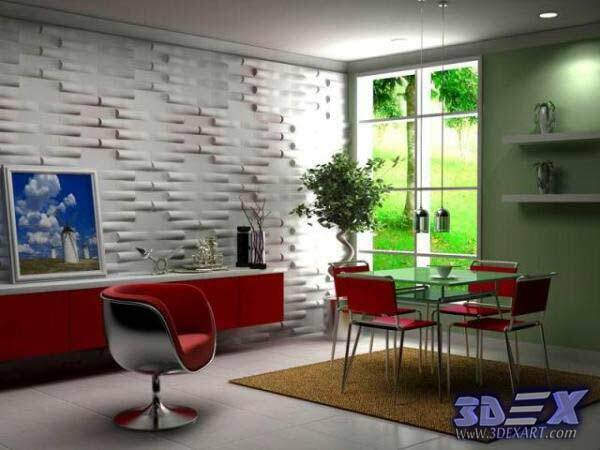 Either way, you should think about how to install 3D gypsum panels. On the one hand, this installation is not difficult, but there are many features and nuances that are important to consider when implementing it. Installation of 3d gypsum panels requires certain skills and practice. Based on our experience, the stucco worker, tiler, a good painter or a plasterboard master will be able to make the installation while following the step-by-step instructions. Wall material. Installation of 3D plaster panels can be carried out on walls made of plasterboard, concrete, brick, aerated concrete. It is also practiced installation on the walls lined with wood. It is imperative to have a flat and dry surface. Distortion of 3-4 millimeters is permissible, otherwise, the wall should be leveled with plaster putty. The choice of the finish coat, the way it is applied, etc. 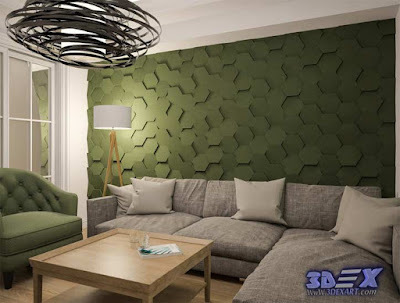 Make sure that the walls on which 3D wall panels are to be installed have a flat surface. If there are irregularities more than 4 mm, it is necessary to level with the help of plaster putty. Walls are desirable but do not necessarily primed, in this case, grasp the panel with the wall will be better. Also make sure that the surface is flat, dry and clean. 3d Panels are not installed on moving surfaces, such as sliding doors, interior windows. In this case, the probability of cracks at the joints will be high. Additional wall measurement and recalculation of the 3d panels will give an opportunity to see the overall picture of the installation as a whole. Pre-layout several panels on the floor. This will give an opportunity to finally present the layout of the picture. If you plan to organize lighting, it's worth thinking about it in advance. And remember that the backlight will make clear even the slightest flaws made at the time of installing the panels. 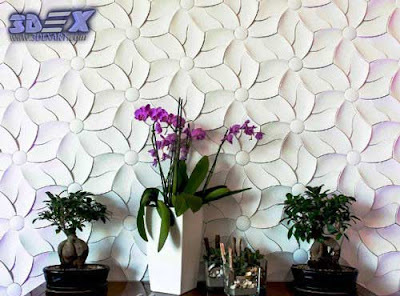 Initially, decorative 3D gypsum panels for wall have natural colors of materials from which It made (white gypsum color). After installation, gypsum products can be covered with paint and varnish, plastered and trimmed with other decorative coatings, giving the surface an additional gloss or matte silkiness. 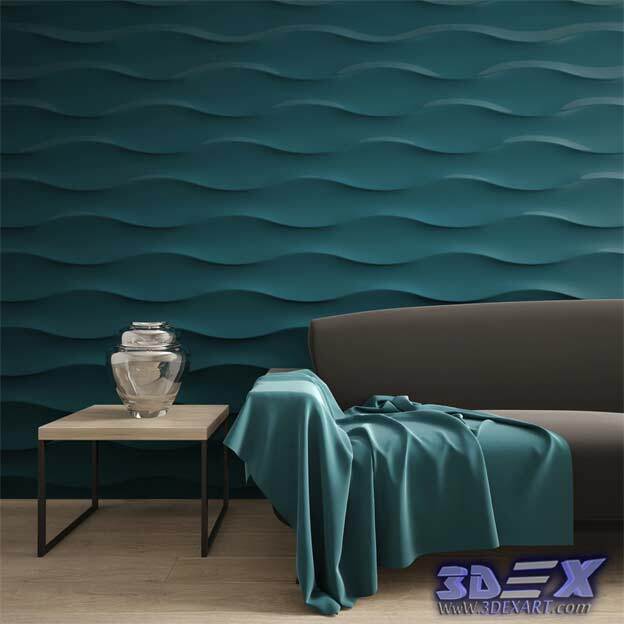 3d wall Panels can be painted with acrylic, latex, water-based paints, nitro-enamels, as well as textured paints. Preliminary, the 3d gypsum wall panels can be primed to reduce paint consumption. Painting is done with a spray gun. A roller can only be painted with weakly-active models. Note: It is advisable to use high-quality and expensive materials for installation, but the hand of the master is the most important. We have in practice made sure that it is easy to achieve the desired result with materials from the middle price segment. Choose materials according to your taste, with what you are used to working. All products of 3d gypsum panels, placed in our catalog, are created on the basis of exclusive author's developments in the field of interior design. 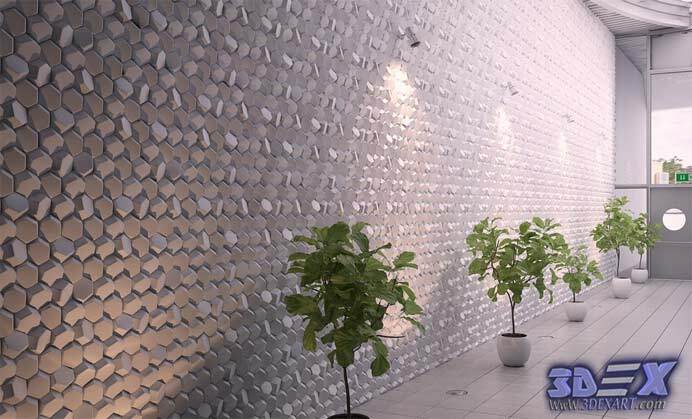 The surface of the 3d gypsum panels can consist of three-dimensional and smooth geometric figures, repetitive compositions (inseparable drawing on the whole wall), ornament, mosaic. Also, it can have an enlarged texture, imitating a stone, a tree, vegetation, etc. 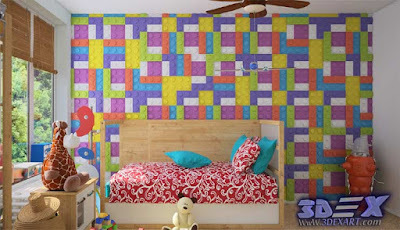 When decorating 3D plaster panels for wall, various color combinations with other flat surfaces are used. Wide design possibilities of using this product allow you to get spectacular interiors - from warm romantic to shocking futuristic. The unique advantage of these panels is the ability to create monolithic compositions of different areas. 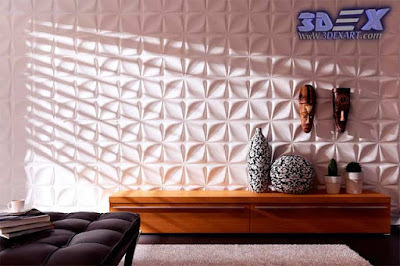 Decorative 3D wall panels made of gypsum are a new unique solution for the design of your interior. 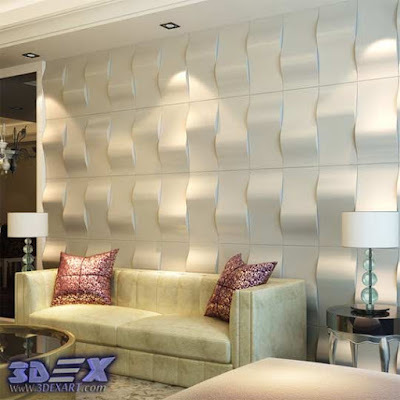 Regardless of how large or small the wall area is, 3D plaster wall panels for interior decoration can decorate the whole wall or its separate part. Gypsum 3D panels perfectly fit into any interior, the main thing is to allow space. It can be installed on the wall where the TV will be hung, decorating them with the central part of the wall in the living room, as well as laying the wall at the head of the bed in the bedroom. Wherever you decide to put it, the interior will necessarily change and look original. 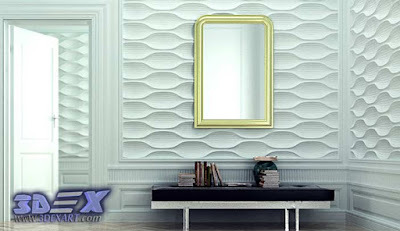 3D gypsum wall panels should be considered one of the most promising types of finishing materials. Thanks to the latest technology, manufacturers produce products in a variety of options that can create a unique and interesting interior design.